You know the one: the sweet + simple cookie dough that started it all. You can bake a batch straight up (why stop there?) 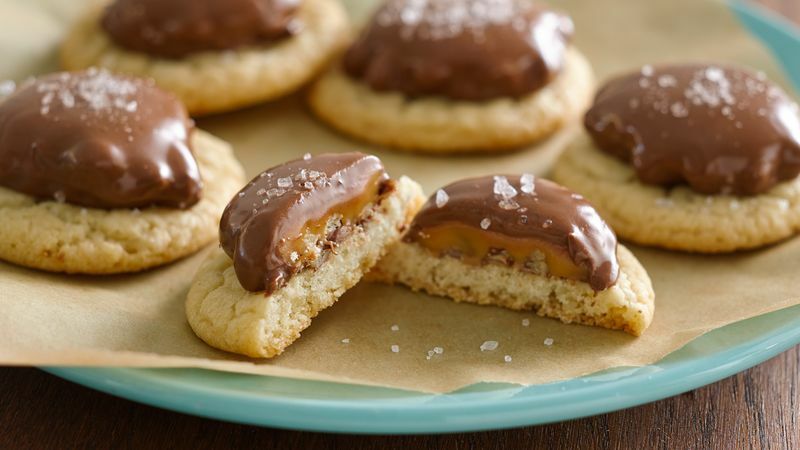 or put your sugar cookie dough to work in one of these awesome recipes. Either way, they’re absolutely delicious! We’ve picked recipes to answer your favorite question: what to do with sugar cookie dough? Whether it’s a bar, traditional cookie, or even cupcake, you’re in for a real treat. All you need is a package of our famous Pillsbury cookie dough to get started. There’s nothing quite as good as the first bite of a warm, crunchy sugar cookie. Choose your favorite mix-in’s, like chopped nuts or mini chocolates, and you’re well on your way to a scrumptious dessert. Our cookie dough helps you skip the steps of baking from scratch and gets you right to the fun part of baking – decorating and mixing ingredients like candies or nuts in the dough! No matter your level of expertise, sugar cookies can be a fun baking activity for your entire family. We’ve got tons of kid-friendly cookies for the little helpers in your life. For example, check out these Easy Dipped Sugar Cookies Sticks (can you say, YUM?). If you’re looking for a more decadent option, we have fancy-looking (but still easy) cookies to impress your friends at your next potluck. Start with our Hot Chocolate Crinkle Cookies with Marshmallow Frosting for the holidays or our Lemon-Glazed Cream Cheese Cookies for next summer. Don’t stop baking! There’s even more cookie dough recipes for you to browse.